Today I am so excited to be a part of Gina Martin's From Bump to Baby blog hop. Even though Jeff and I are not planning on having another baby until later this year, I was super excited when these adorable fabrics came in the mail. They are bright and vibrant, and perfect for making special items for the baby or babies in your life. 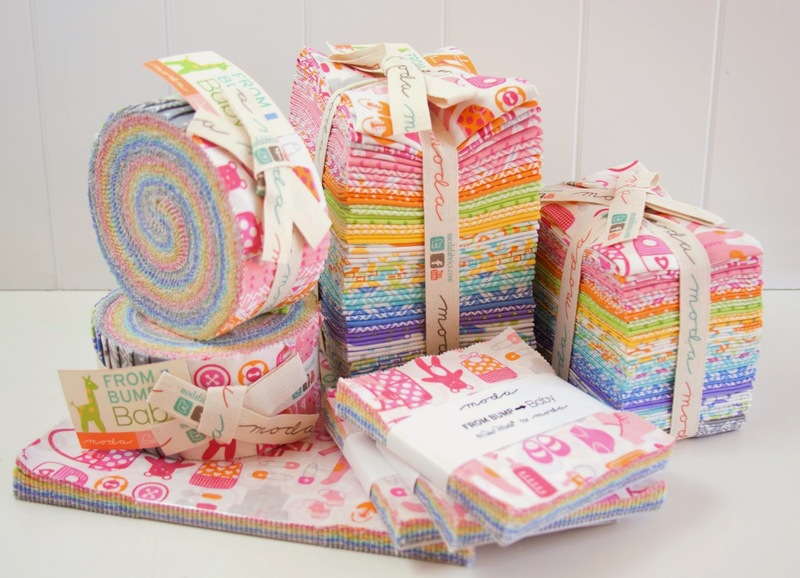 I'm going to be showing you a fast and simple way to make an adorable patchwork baby quilt, plus there is a giveaway for 4 Charm Packs of Gina's line From Bump to Baby! I chose this project because it is something that you can make from the prize that you are winning. Hooray! I love the three colorways Gina has created because you can get three distinct looks from one collection. Boy with the blues, Girl with the pinks, and Gender neutral with the yellows and greens. I also love that there are so many basic geometric prints, they mix and match so well and make fantastic stash builders! Because we all need more fabric in our stash! For the quilt I am sharing with you today, I chose the bundle of pink fabrics to make a quilt for a co-worker of mine who just had a baby girl. Since I currently have a house full of boys, I don't often make girly things, so I jump at the chance when I can! 1. Take your fat quarters, and cut them into 4.5" wide strips. Not all FQ are created equal, so there isn't an exact number to strips that you'll end up with. You just need to make sure you get at least 10 4.5" squares from each fat quarter (there will be extra fabric). If using Charm Squares, trim down to 4.5" square. 2. Then cross-cut your strips into 4.5"x4.5" squares. You'll need at least 100 because our layout is 10 by 10, and I always like to have extras so I can switch out blocks here and there. This can go really quickly if you cut in batches, I like to stack 3 strips on top of each other, then stack them 3 deep on my mat. 4. Next, layout your squares on your design board, or in my case, design floor until you have a layout you are happy with. This is where having a few extra squares comes in handy because you can swap out pieces. I try to not have the same fabrics touching side by side. Since I do most of my sewing at night I've adjusted the color/contrast of this picture so you can get a better feel for the colors. 4. 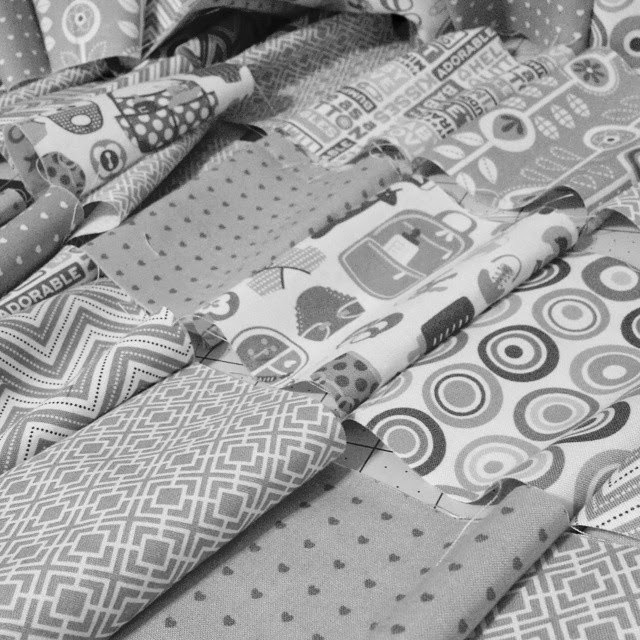 Once you have finalized the layout of your blocks, sew them together in rows. Alternate the direction you press the seams for each row. You will have 10 rows of 10 squares. So, I tried a new chain piecing method and it went lightening fast! And of course I didn't take any good pictures of it, but I will explain as best as I can. 5. Next piece your rows together, making sure you line up your seams well. Press row seams in one direction. You now have a completed quilt top! 6. Baste and quilt as desired. 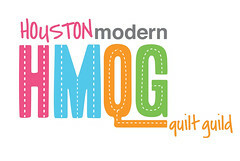 I am waiting on my brand new Janome 8900 that I bought at QuiltCon before I quilt mine. It is supposed to be delivered this evening and I am soooo excited! If you are rounding the corners, like i did with this quilt, I would recommend that you make bias binding instead of straight grain binding. It is much easier to work with when sewing around the rounded edges. I like this tutorial, it is super helpful for figuring out how much yardage you'll need etc. I know that was a lot of information, so if you have any question don't hesitate to ask! So.... after all of that, now it's time for the giveaway! Gina has generously offered up all these goodies as prizes, be sure to visit the other bloggers posting for multiple chances to win! 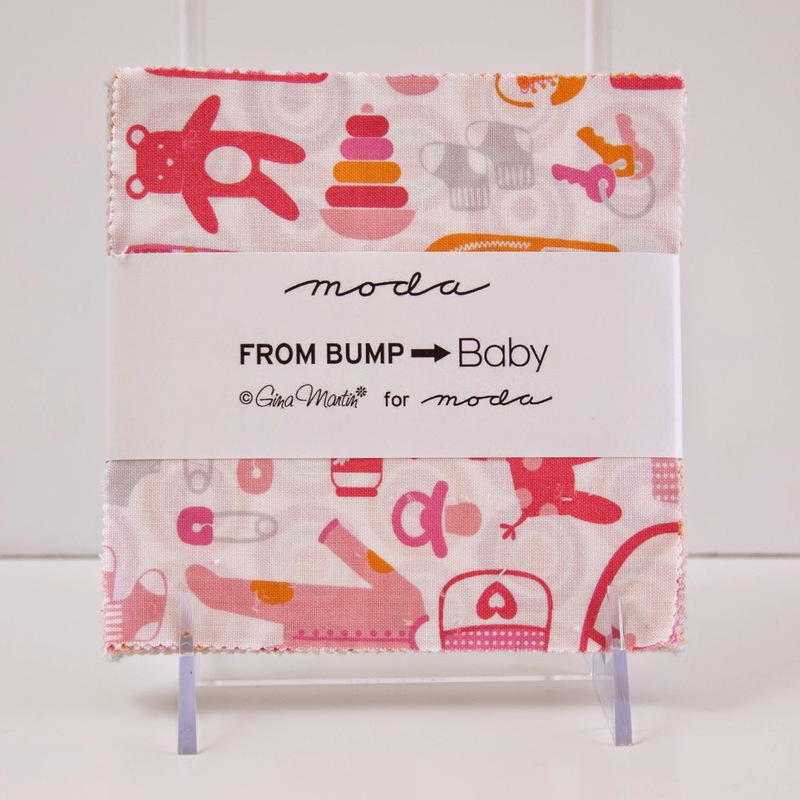 I am giving away 4 charm packs of From Bump to Baby! To enter simply leave a comment telling me what you would make with this adorable line! *For a bonus entry, head over to Instagram to follow me and leave a second comment here saying you did so :) I can't always write an entire blog post, but I do frequently update my Instagram with current projects, and of course my adorable son! I have had so much fun working with this line and I am really looking forward to making quilts out of the other 2 colorways as well! Be sure to go see all the other amazing projects, and enter for more chances to win some pre-cuts!